. "Université du Québec en Abitibi-Témiscamingue". The Canadian Encyclopedia, 14 December 2015, Historica Canada. 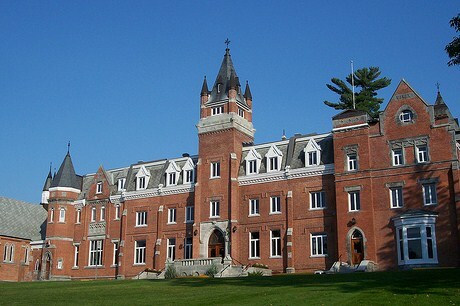 https://www.thecanadianencyclopedia.ca/en/article/universite-du-quebec-en-abitibi-temiscamingue. Accessed 24 April 2019. The Université du Québec en Abitibi-Témiscamingue (UQAT) is a French‑language higher education institution that is part of the Université du Québec (UQ) network. Rouyn-Noranda Campus, 2013 (Photo credit: Mathieu Dupuis. Courtesy of Université du Québec en Abitibi-Témiscamingue). The Université du Québec en Abitibi-Témiscamingue (UQAT) is a French‑language higher education institution that is part of the Université du Québec (UQ) network. 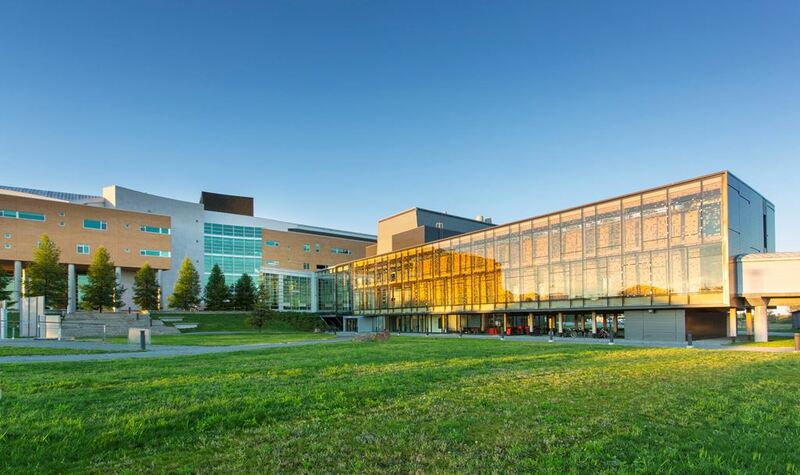 It has three campuses (Rouyn-Noranda, Val‑d’Or and Amos), about ten centres and points of service, as well as several research chairs and units. Notable chairs include the NSERC-UQAT Industrial Chair on Mine Site Rehabilitation and the Canada Research Chair in Forest Ecology and Sustainable Forest Management. Since 1969, the Université du Québec en Abitibi-Témiscamingue has been a driving force behind the development of all socio-economic spheres of the region. 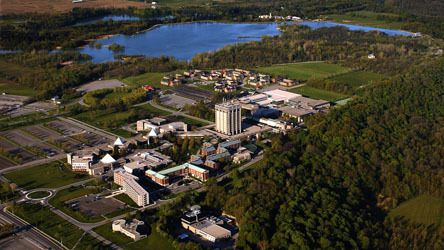 First affiliated with the Université du Québec à Trois-Rivières (UQTR), then with the Université du Québec headquarters, and later with the Université du Québec en Outaouais (UQO), UQAT became a UQ network establishment in its own right in 1983. The first university to be named after a region, UQAT distinguishes itself by its ties to the community, building lasting relationships that have enabled it to pursue its educational mission. Thanks to its numerous partnerships with other establishments and organizations in Abitibi-Témiscamingue, Hautes-Laurentides and Nord‑du-Québec, the university now has some 10 campuses, centres, and points of service offering courses that fulfil the requirements of a university education. This community-based approach has enabled UQAT to foster the growth of its affiliated regions and contribute to the development of expertise that is not only regional but also international. Whether for the quality of its programs or for its international reputation in various domains — such as mine environment, and boreal forestmanagement and development — UQAT is a top choice for many foreign students. Every year, more than 200 students from five continents choose to pursue university studies in Abitibi-Témiscamingue. The close proximity between the high‑level research infrastructures and the field (mainly in the areas of mining and forestry) makes UQAT an exceptional place to study. In order to meet the workforce needs of its communities, UQAT has a strong academic heritage in the areas of education, health, management, and human and social development. 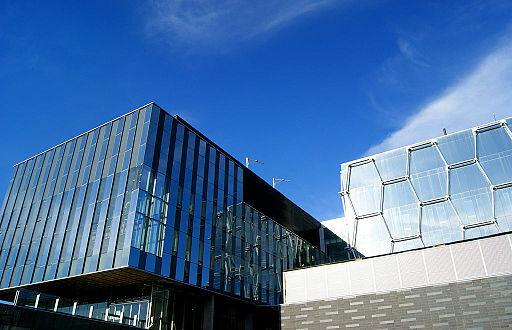 The university also offers unique programs that distinguish it within new media development and innovation, mining,the environment, forestry and engineering. In total, UQAT offers more than 100 undergraduate, master’s and doctoral programs. At this modestly sized university where connections thrive naturally, professors and lecturers are recognized for their availability outside of class and for their capacity to maintain strong ties with each of their students. That student success and integration are core concerns of all UQAT employees is evident every day in the attentive ear and personalized support that students receive. Such support is a large part of what makes the “uqatian” experience so fulfilling. In addition to offering its educational services to all parts of the Abitibi-Témiskamingue region and beyond (thanks to its campuses, centres and points of service), UQAT aims to make university education more accessible by promoting the use of technologies in teaching. The university has more than twenty videoconferencing rooms, and several of its programs — particularly management and health — are offered entirely through distance education, with teaching staff strongly encouraged to incorporate leading-edge software into their distance-education courses. This flexible formula allows students to complete their courses according to their own schedule and pace, while striking a balance between studies, work and family life. The UQAT Continuing Education Service also makes high-level education accessible to those in remote regions and elsewhere in Québec. This service helps businesses develop skills and tools that prepare them for present-day challenges in their industry sectors, and that help them stay competitive. UQAT fosters research that, in addition to contributing to the development of Abitibi‑Témiscamingue and Nord-du-Québec, allows the university to play a significant scientific role, both nationally and internationally, in several strategic sectors. Its researchers are especially interested in seeing communities flourish and in promoting natural resources through sustainable development. Thanks to its numerous partnerships, the university implements applied projects that are tied to priority niches in its regions. Its many foundational research initiatives advance knowledge in leading sectors, while applied research gives businesses everywhere the opportunity to access knowledge benefitting their industry. Michel Allard, « La création de l’Université du Québec et l’évolution de l’idée d’université », Incursions n° 6 (2012). Lucia Ferretti, L’Université en réseau. Les 25 ans de l’Université du Québec (1994). Université du Québec en Abitibi-TémiscamigueLearn more about programs, research, distance education and continuing education at UQAT on the university's official website.